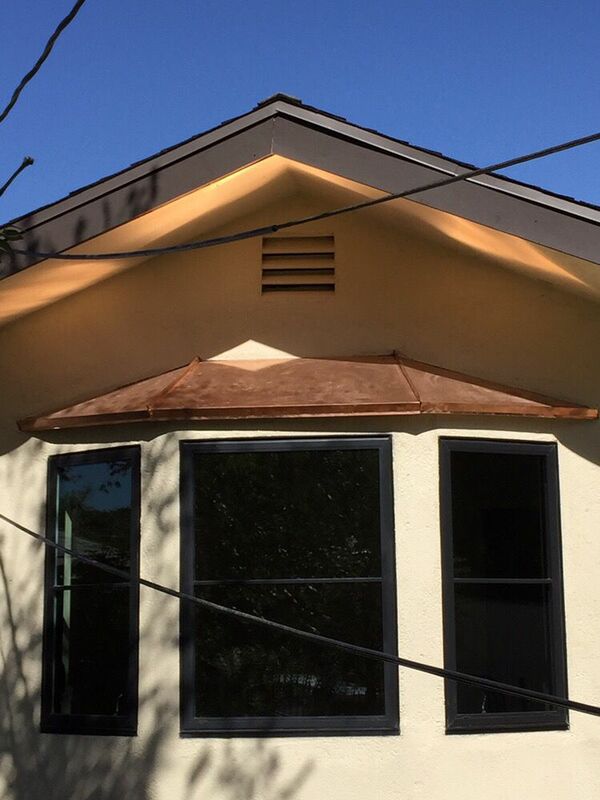 In the past year, we’ve had some great opportunities to improve our clients’ curb appeal with custom copper work, including portico/bay window covers, custom chimney caps, and simple rain chains. 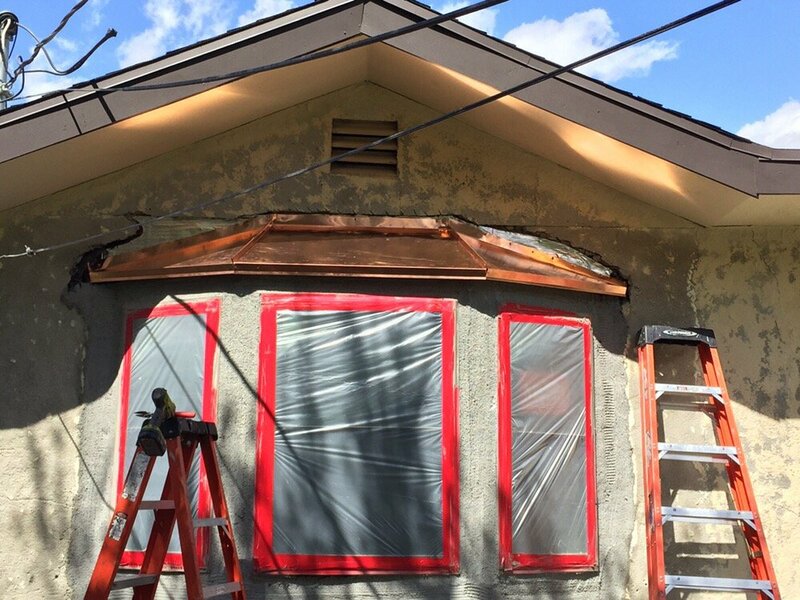 Below are some of the quick snapshots we took over the past several months in the greater Los Angeles area. 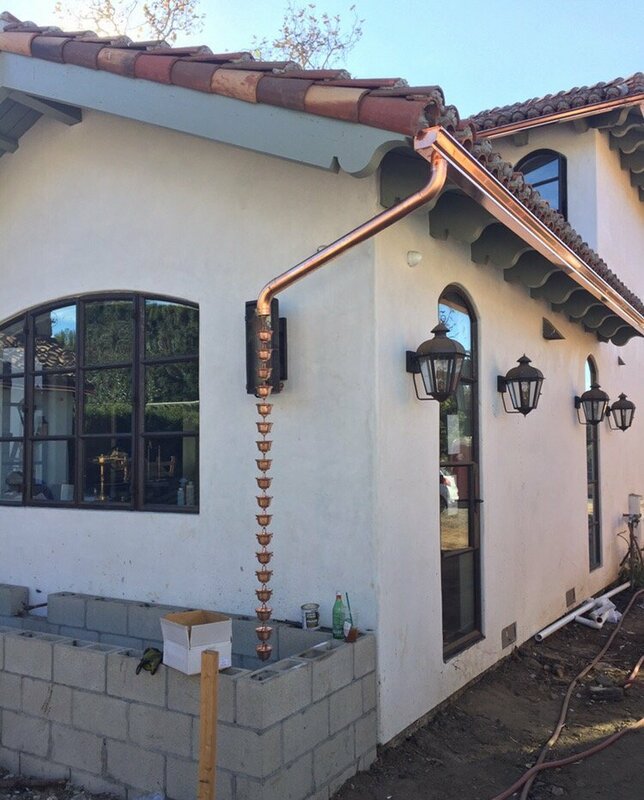 OK, so our photography doesn’t quite do it justice, but we loved this opportunity to add some custom copper elements to match the copper gutters on this Spanish facade. 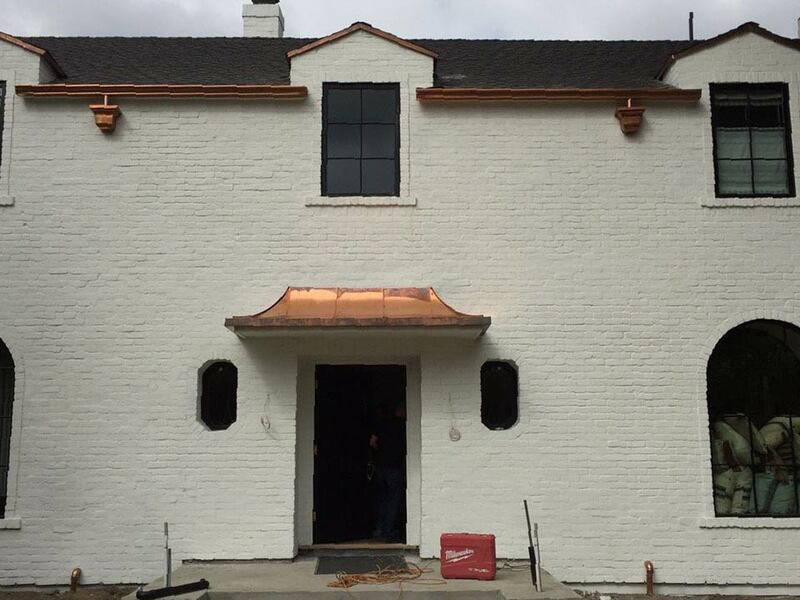 The copper portico cover compliments the traditional facade really well. 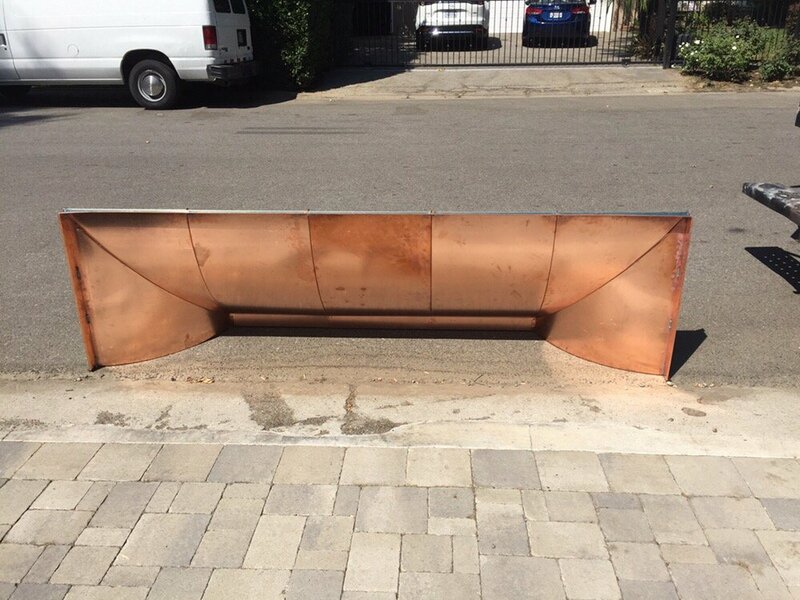 The custom copper portico cover prior to installation. To cap things off, we prepared this hand-made chimney cap. 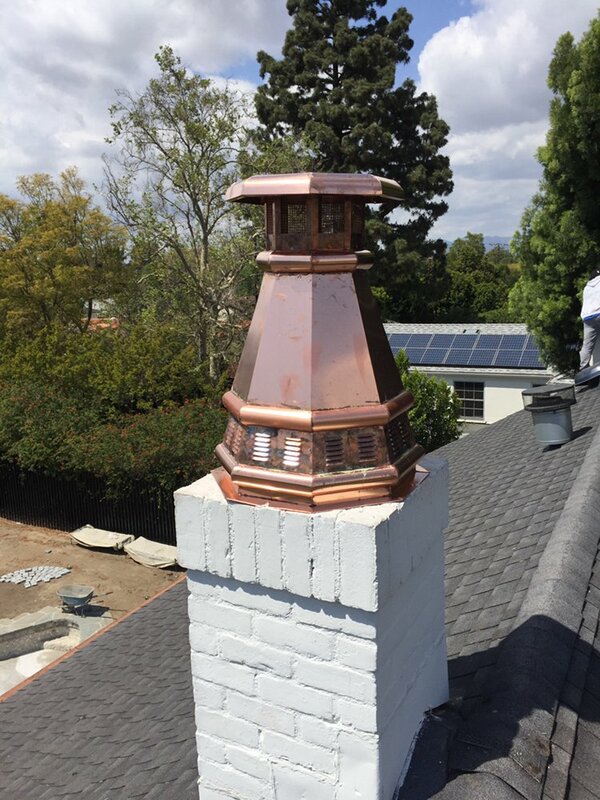 Custom copper chimney cap after installation. Installation of a copper bay window roof. Copper bay window cover after roofing phase completed. 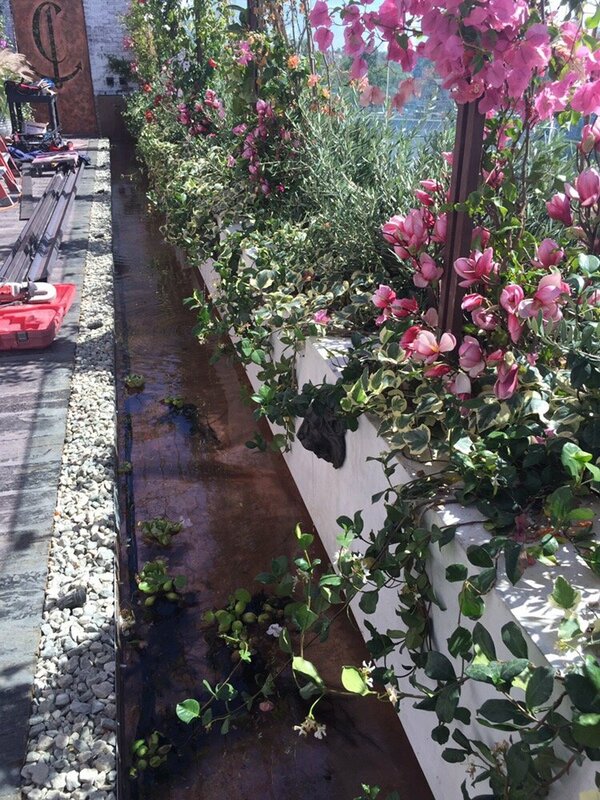 A great use of copper gutters and rain chains on this Spanish Colonial that feed into a raised garden. 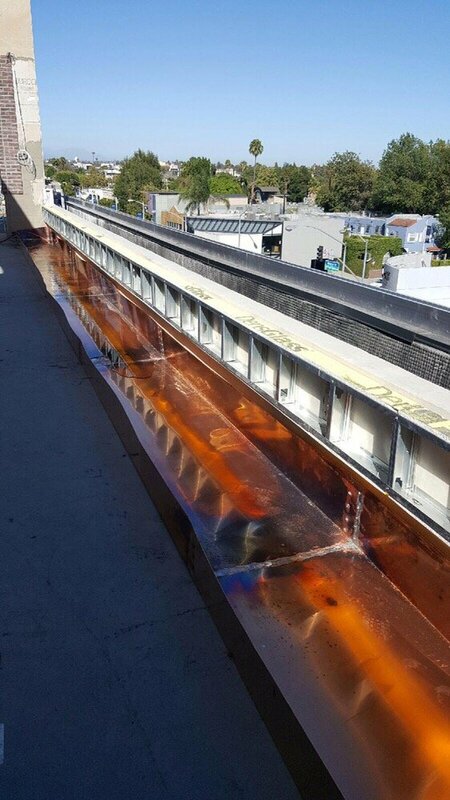 One of our favorite projects of the last few months: assembly and installation of a rooftop copper water feature. 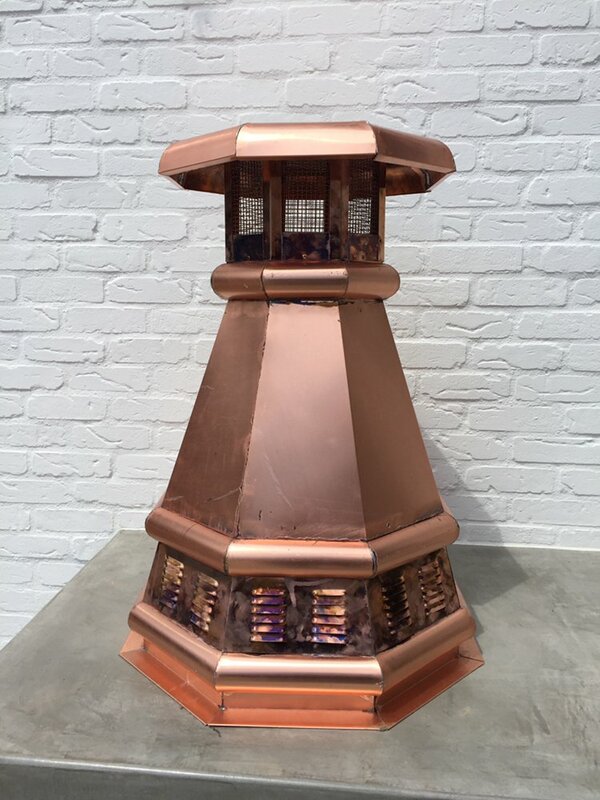 Full copper water feature in all it’s glory! 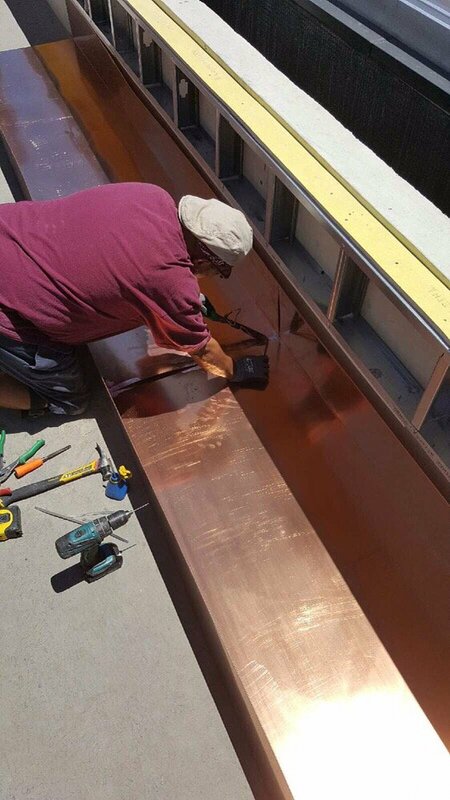 If you’re interested in metal roofing or custom copper features, give us a call for a free estimate!